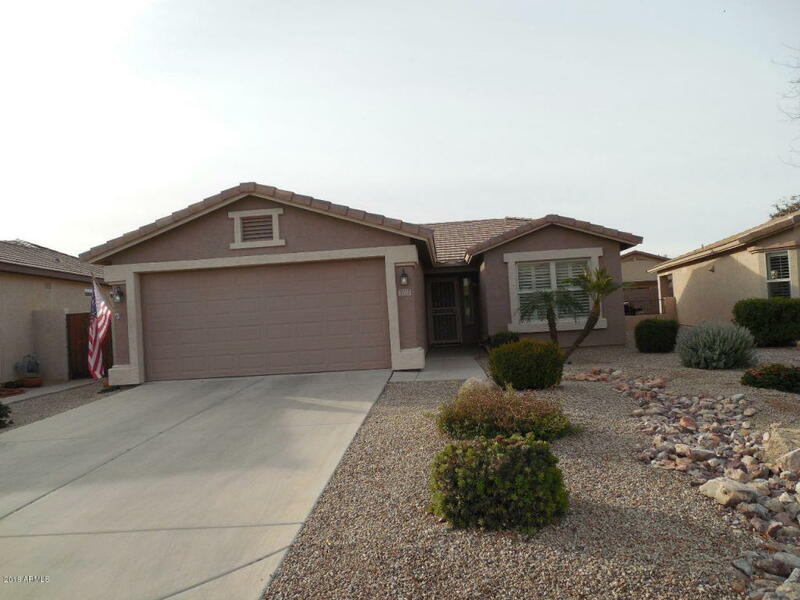 Beautifully maintained home located in active Adult Community. Tile set on the diagonal through out the home with carpet in the bedrooms. Newer stainless steel appliances installed in 2017 upgraded, Corian Counter tops in the kitchen area. Professionally painted interior with neutral tones. Plantation shutters on most windows and security screens on the front door and french door to the patio. Wonderful extended patio area with delightful low maintenance backyard. Hot water heater replaced in 2015. Very active Community center with great workout center, tennis court, heated pool and spa. The Lone Tree Golf Course and Restaurant located next to the community.